Crossandra infundibuliformis Sundance is a small tropical shrub growing from 1-3 feet tall and wide with glossy tropical looking leaves and orange flowers. Crossandra Sundance will flower all year. The dead flowers last a long time and plants look much better if they are removed. Crossandra Sundance prefers moderately moist soil. Soggy soil will rot the roots. 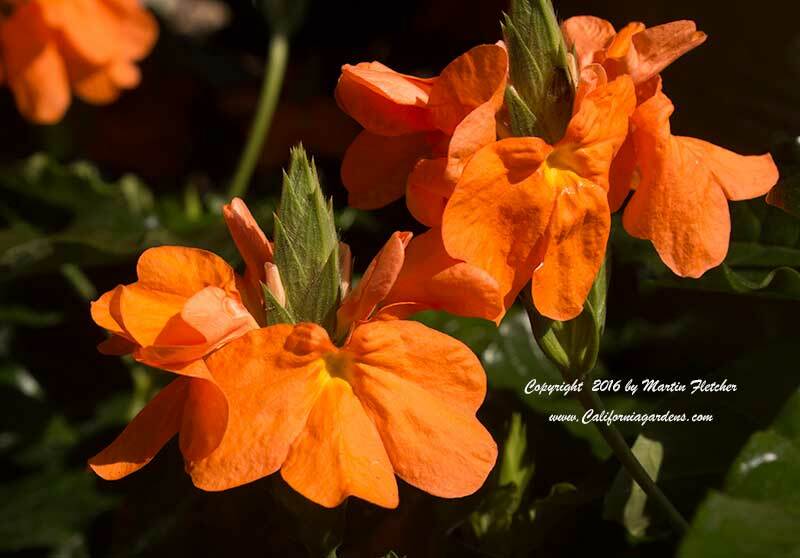 Crossandra Sundance can be grown outdoors in frost free gardens. Plant in a morning sun location with plenty of sun and make sure the plants have good drainage. Indoors, place plants were they get direct sun for several hours a day. Flowers and foliage of Crossandra Sundance - Firecracker Flower. High resolution photos are part of our garden image collection.